Five of Saturday's Scottish Professional Football League matches have been postponed. Inverness CT v Falkirk was called off on Friday and Dumbarton v Livingston fell victim to the weather on Saturday. However, another Championship game, Brechin City v St Mirren, passed a pitch inspection. The League One meeting of Albion Rovers and Arbroath and Peterhead v Clyde and Stirling Albion v Cowdenbeath in League Two were postponed on Saturday morning. 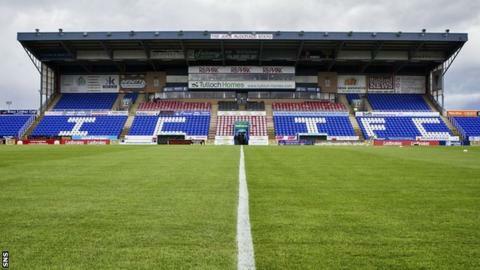 The match between Inverness and Falkirk has been rescheduled for Tuesday 12 December at 19:45 GMT.